"Really Listened And Accommodated Us"
"Great Job. Great Price. Nice, Friendly Guys. Recommend." "Very Professional And Reliable With The Timing. Very Pleased With The Electrical Work." "Very Efficient Service. Fitted The New Downlighter In The Shower Quickly And Cleaned Up After." 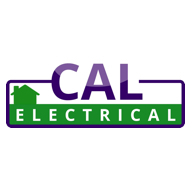 Need a Electrician in Leicester?